Sterile Solution based on hyaluronic acid for intravesical irrigation. 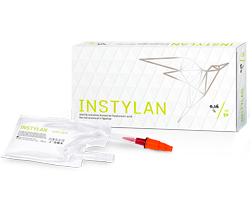 INSTYLAN is intended for irrigation into bladder cavity that provides the formation of a viscous elastic film on the surface of mucous layer. The irrigation provides temporary protection and restoration of bladder mucous layer during various surgeries, inflammation of the mucous layer of the bladder, radiation therapy. -protect it from the harmful impact of bladder content (urina) in case of injury or from inflammation of the mucous layer of the bladder, like cystitis. 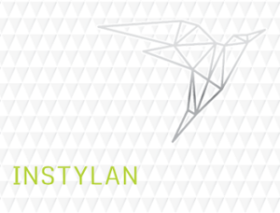 INSTYLAN is intended for irrigation of the bladder when using a urological catheter. The irrigation provides temporary protection and restoration of bladder mucous layer during various surgeries (urethra cystoscopy, radiation therapy, etc). Hyaluronic acid plays a key role in restoring the GAG layer and produces its e ect in the submucosa, exactly where the process of epithelial regeneration initiates. Irrigation into the bladder should be provided by a trained medical specialist in specialized premise with appropriate equipment and aseptic conditions.